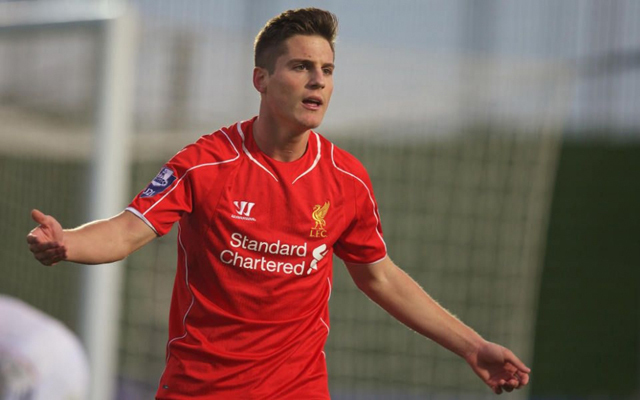 Liverpool could reportedly end up pocketing £4.5m for Sergi Canos as the teenager closes in on a move to Norwich City. According to the Echo, the Spaniard is discussing personal terms with the Canaries after they struck a deal with the Reds. The Echo understands that we will receive £2.5m up front for Canos, but the fee could almost be doubled by appearance-related add-ons. And we have protected ourselves in case Canos does go on to fulfil his potential, inserting both buy-back and sell-on clauses into his contract. The 19-year-old was handed his first-team debut by Jurgen Klopp for the final-day draw with West Bromwich Albion last season, almost immediately after returning from his loan spell at Brentford. But he rejected the offer of a new deal at Anfield and we have decided to cash in on the former Barcelona youngster as he enters the final year of his contract. We also got £4m compensation from Watford for Jerome Sinclair – fee confirmed by the Echo. A total of £8.5m for two players who have not made a Premier League start between them is good going.